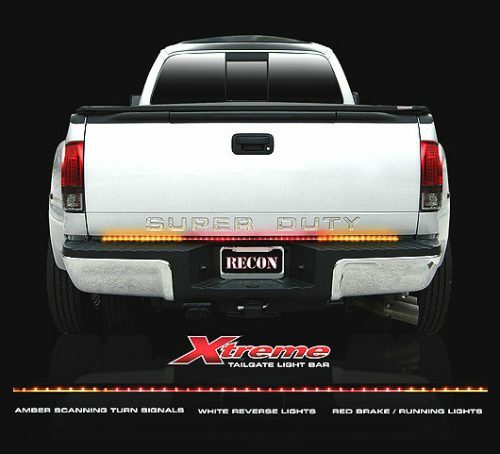 RECON, the premier manufacturer of aftermarket lighting and accessories for the Truck and SUV market is proud to announce RECON�s White Lightning LED Tailgate Bar for nearly every make and model of truck and SUV including: Nissan, Toyota, Dodge, Chevy/GMC, Ford, and Hummer. RECON�s Line of Fire, White Lightning & Xtreme Tailgate Light Bars take just minutes to install and are street legal and have been approved for use by the National Highway Traffic Safety Administration �(NHTSA�). 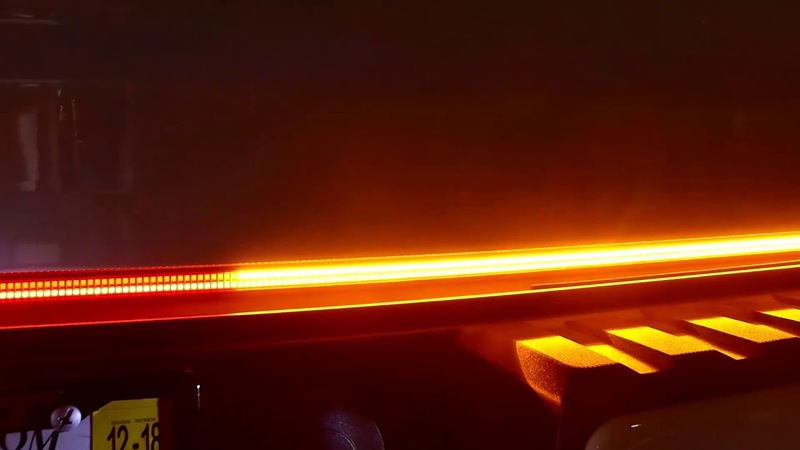 All RECON Tailgate Light Bars use our new cutting-edge 3mm diode LED technology unlike the small dim SMD-type LEDs found on all the inferior competitive knock-off�s currently available in the market. 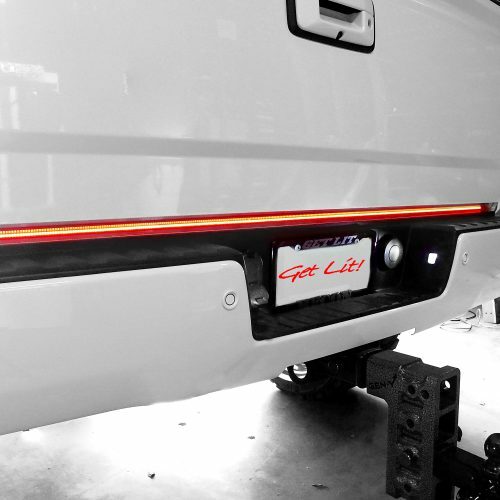 We are the only tailgate light bar manufacturer that utilizes these new, brighter, longer lasting, & more durable 3mm LEDs. We put our money where our mouth is�our tailgate bars are the best quality, brightest, & longest lasting on the market & THAT�S GUARANTEED!! !